A teenager suing police over being shot in the back in 2012 was arrested last month, accused of carrying a concealed firearm without a permit. 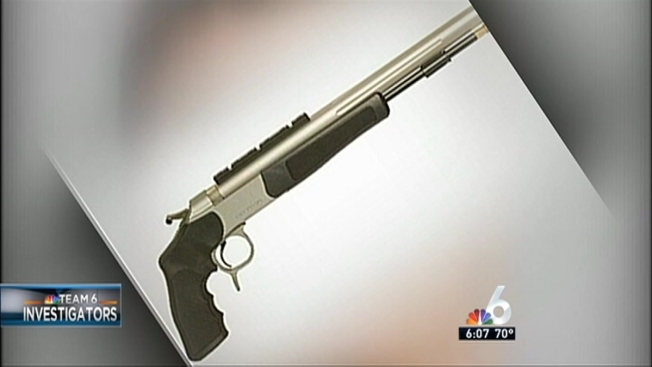 Sebastian Gregory, 18, had a .50 caliber, single-shot, long-barrel, muzzle loaded sports pistol and ammunition in his backpack, according to a Miami-Dade Police report. It was found during a pat-down search around noon on Dec. 18 after a 56-year-old woman called police to the Continuum Condominiums in Kendall, complaining two men were trying to open the door of her son’s home without her permission, according to police. The woman told Team 6 Investigators the men were forcibly kicking or pounding on the door and she feared they were trying to break in. The other person with Gregory was not charged; Gregory was charged only with carrying a concealed firearm and not with any crime related to his actions at the door of the condo. He was released the next day on a $5,000 bond. Gregory was 16 in May 2012 when, as he walked down a street near his home at 3:30 a.m., he was approached by a Miami-Dade officer who ordered him to the ground. Officer Luis Perez said he opened fire on Gregory when he thought he was reaching for a gun; in fact, Gregory was carrying a small aluminum tee ball bar in his pants. Perez fired nine times, with several bullets piercing Gregory’s back and abdomen and other organs. He nearly died and is partially paralyzed. Gregory’s parents have filed a federal lawsuit against the county and Officer Luis Perez, claiming excessive force and false imprisonment. The state attorney cleared Perez of any criminal responsibility for the shooting. Citing the ongoing internal investigation of Perez, Miami-Dade police declined to comment for this story. Gregory’s attorney, Michael Feiler, told Team 6 Investigators his client was not trying to break into the condo. “The allegation here is he was carrying (the firearm) in a concealed fashion, without the proper permit,” said Feiler, adding Gregory has a legal right to own the firearm. Gregory was scheduled to be deposed in his civil case the morning of his arrest, but he did not appear; his father said his son suffered a severe panic attack and refused to leave the house. After he was left at home, though, Gregory did travel nine blocks from his home to the condominiums where he was arrested. Feiler said he did not know whether county lawyers will try to make Gregory’s arrest an issue in the civil case. The state attorney has yet to make a decision on whether to charge Gregory.